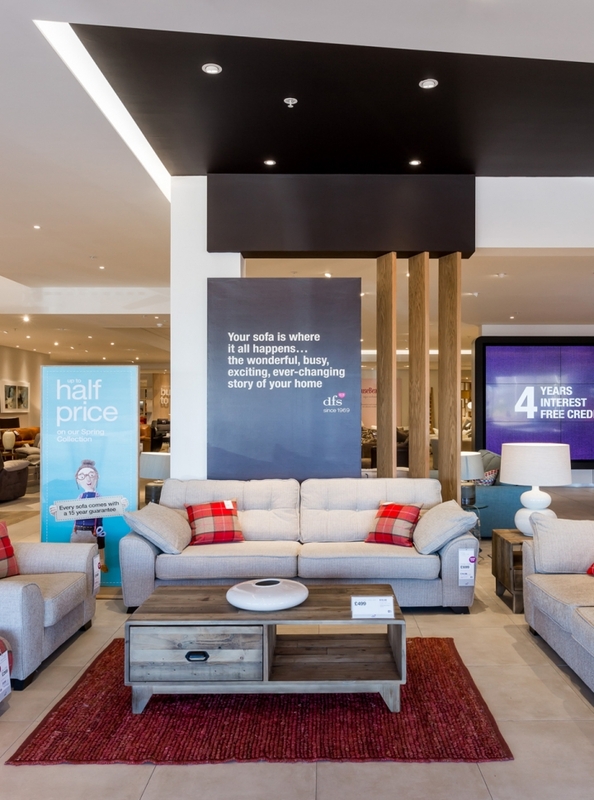 Furniture retailer DFS unveiled a new look showroom in Edinburgh in October 2016 as a soft launch, followed by its official opening in 2017 when market research was done on the brand new concept that je+1 designed. 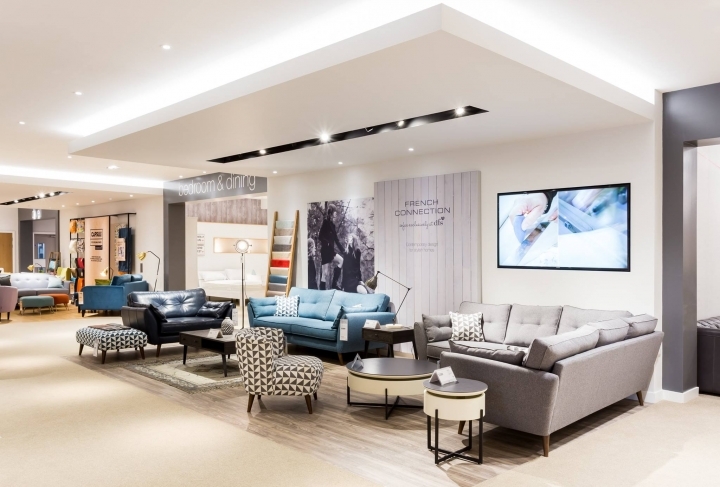 The existing DFS store at Edinburgh was stripped back to its shell and re-configured to include two additional brands from within the DFS group – Sofa Workshop and Dwell. 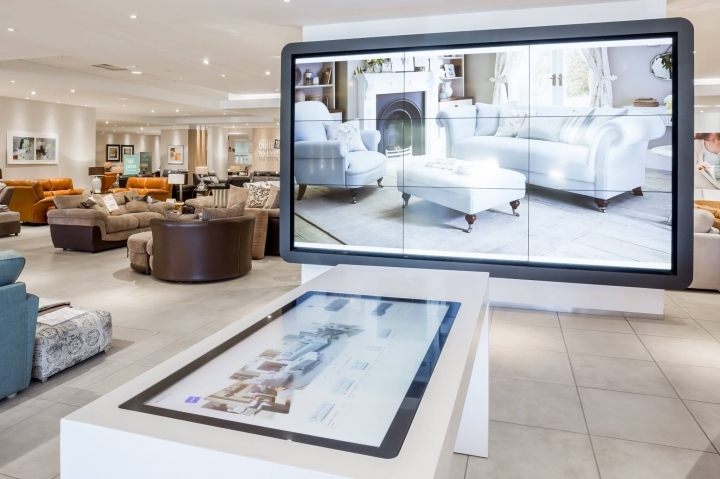 The main DFS store was also divided to include two smaller showrooms, one dedicated to Bedroom and Dining furniture and the other to Clearance. 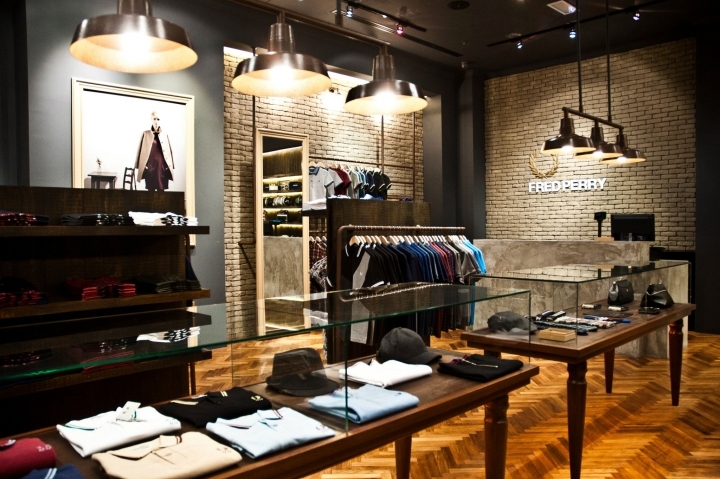 The main DFS showroom showcases a new concept designed in line with new range and merchandising principles. 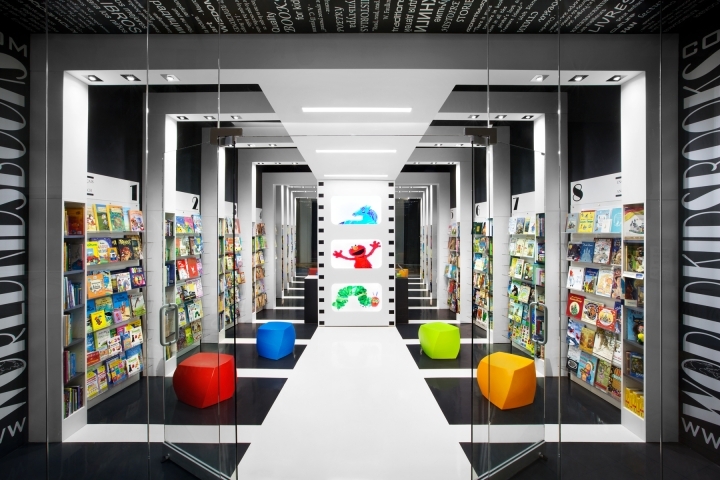 The brief required an evolution of the current store concept to integrate key brand messages into the heart of the design and store infrastructure, and communicate the breadth of range and exclusive brands effectively through digital touch points. 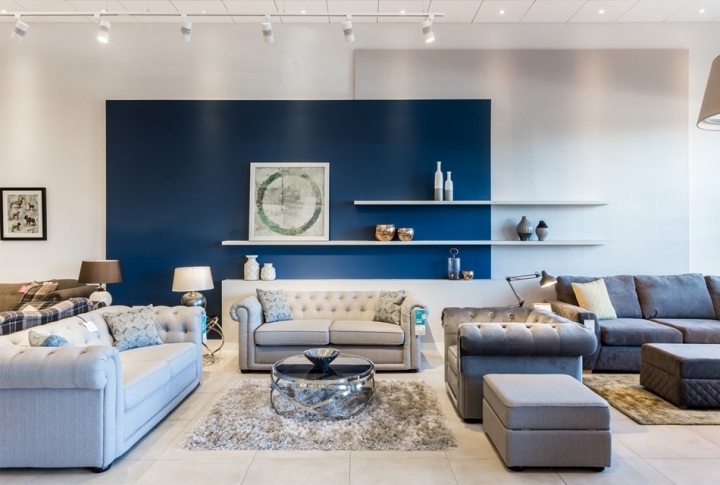 With a fresh new approach to the store, new floor and wall finishes were selected to complement and enhance both the furniture, brand messaging and range layout in store. The finishes are modern and clean with injections of colour in key locations around the store to compliment the new, stronger brand messages and exclusive brand graphics. 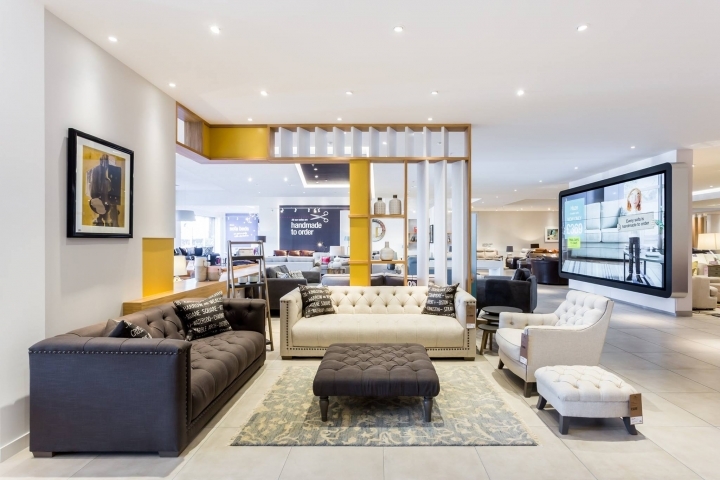 The new concept includes four larger, premium, room settings displaying exclusive brands such as French Connection, Country Living and House Beautiful, whom DFS has been partnering with over the recent years. 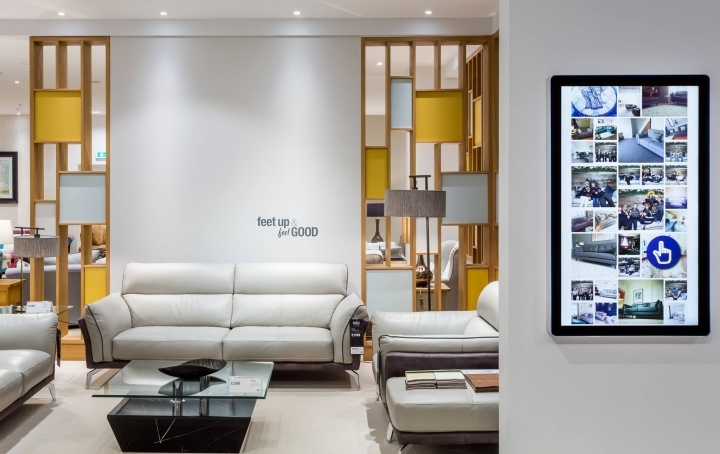 With a greater allocation of space than the standard room settings, these areas have tailored brand messaging and additional items on display, showcasing the breadth of range and finishes available.